Handmade wet shaving artisan soap is scented with essential oils of Lime and Grapefruit Yuzu which lets the aroma soothe and invigorate your senses. 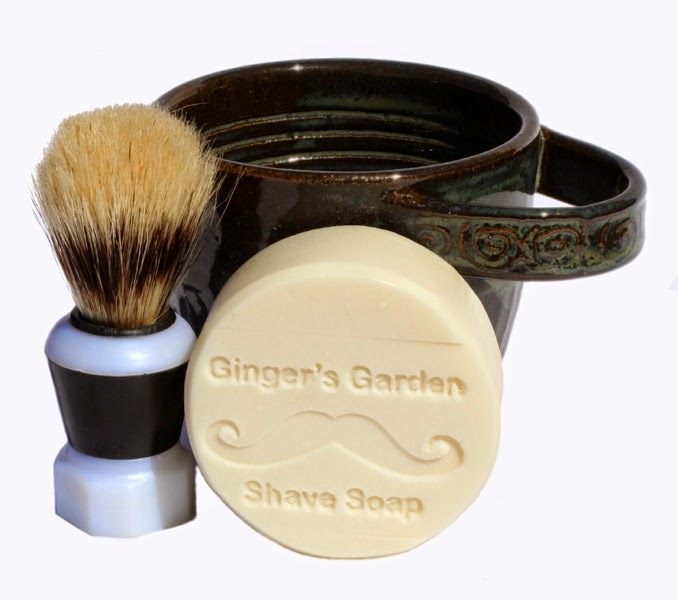 Each gift set includes a ceramic scuttle mug, round handcrafted shave soap puck and a shaving brush. My natural artisan shaving soaps are handmade from a unique formula. Wet Shave natural handmade soap will give you lots of stable bubbles that last and help your razor to glide, for less nicks, razor burn or irritation. Lime Yuzu Grapefruit handcrafted wet shaving soap is round puck and hand cut to approximately 4.5 ozs. All my soaps are cured for 4 to 6 weeks. This makes them longer lasting. Makes a great gift for any man that's a wet shaver. This scuttle mug, brush and shaving soap set makes a wonderful gift for a birthday or Father's Day. Buy this shaving artisan soap for lots of stable creamy bubbles that are gentle on the skin.